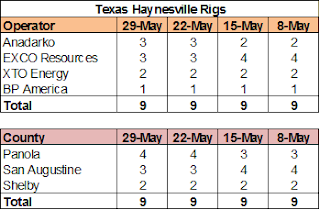 The Haynesville Shale rig count dropped by one over the past two weeks (sorry I missed last week - busy...). 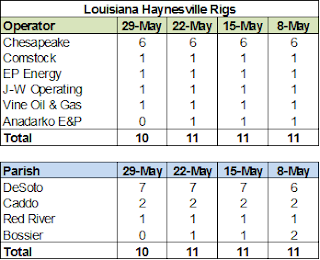 Louisiana was down one to ten, while Texas was unchanged at nine. 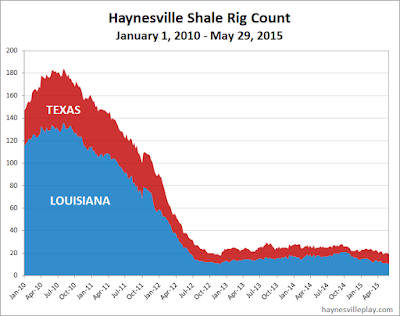 Anadarko moved one team from Louisiana back to Texas, while EXCO dropped a rig in Texas.